Springville Dermatology welcomes your calls, questions, and appointment requests for our Springville and Tooele offices at (801) 704‑7001 or contact us online. If you are a new patient, we invite you to visit our Patient Portal page with information and links to simplify your initial visit with us. Dermatologists are doctors with special training in medical and surgical aspects of skin care, including cosmetic, aesthetic and functional improvement. We perform surgical procedures such as skin and nail biopsies, excisions, cryotherapy, and the injection of fillers and Botox for cosmetic purposes. To provide the best medical dermatology and cosmetic treatment available in the country. To provide a friendly, caring and professional office environment. To treat each patient as we would want to be treated. Meet Our Primary Dermatologist, Michael W. Peterson, D.O. Michael W. Peterson, D.O., returns to Utah Valley after serving as a medical officer and dermatologist in the United States Army for 12 years. 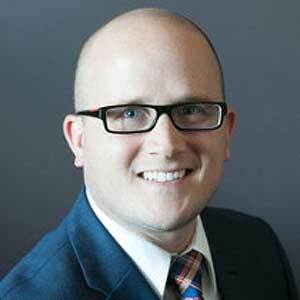 Raised in Utah County, Dr. Peterson is a graduate of Brigham Young University (BYU). He attended medical school at the College of Osteopathic Medicine of the Pacific, where he received Sigma Sigma Phi honors, and was awarded the Health Professions Army Scholarship. His post-graduate training included a transitional internship at William Beaumont Army Medical Center, and a residency in dermatology at the Medical College of Wisconsin. Most recently, he completed a fellowship in Dermatopathology at the University of Texas Southwestern under the direction of the world-renowned Dr. Clay Cockerell. Dr. Peterson is dual-board-certified in Dermatology and Dermatopathology from the American Board of Dermatology. In his clinics, Dr. Michael Peterson focuses on all aspects of general, medical, and pediatric dermatology, and has a special interest in diagnosing skin biopsies under the microscope. He also enjoys teaching patients to become more knowledgeable about managing their own skin conditions. Currently, Dr. Michael Peterson is an associate professor for the Aspen Dermatology Residency program, where he enjoys educating physicians to become dermatologists. He has given numerous CME lectures, published multiple peer-reviewed journal articles, and has written chapters in dermatology textbooks. Dr. Peterson is a member of the Sigma Sigma Phi Honor Society, the American Medical Association, and the American Academy of Dermatology. During his military career, MAJ(P) Michael Peterson was an ambassador in the field of dermatology. He served overseas on two different assignments and was the Chief of Dermatology at the 121 Hospital in Seoul, Korea. While serving, he was awarded two Meritorious Service Medals, the Army Commendation Medal, and two Army Achievement Medals. Dr. Peterson served a two-year ecclesiastical service mission to Taiwan and is fluent in Chinese. He is married to Nicole Jensen Peterson, and they are blessed to have five beautiful children—three boys and two girls. They have enjoyed living in and traveling to many areas of the world, including South Korea and Puerto Rico. They currently reside in Mapleton, Utah. Dr. Peterson is accepting patients at his new clinic in Springville, Utah, conveniently located at 732 North Main next to UCCU and Auto Zone. Contact us online or call (801) 704-7001 to schedule an appointment with Dr. Michael Peterson today! was born in Santa Rosa, California, and raised in the Bay Area of California. Dr. Nguyen attended medical school at Western University of Health Sciences in Pomona, California. After medical school, she completed an internship at Botsford Hospital in Farmington Hills, Michigan. 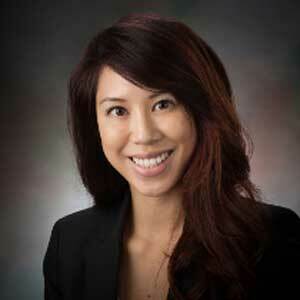 Now in her second year at Aspen Dermatology Residency, Dr. Nguyen enjoys seeing dermatology patients. She has a keen interest in dermatologic oncology, surgery, and cosmetic procedures. In her free time, Dr. Nguyen enjoys traveling the world, reading, cooking, and spending time with friends and family. was born in Tucson, Arizona, and raised in Orange County, California. 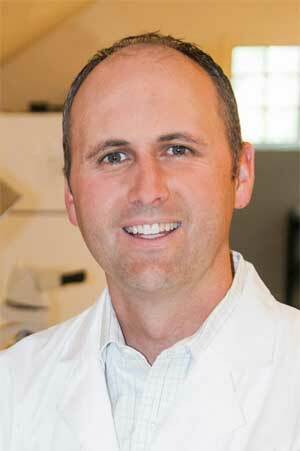 He attended BYU where he graduated with a bachelor’s degree in biology, minoring in chemistry. Before attending medical school, he worked as a research associate at the University of California at Irvine, where he studied novel treatments for cyanide gas poisoning. Dr. Goodman completed medical school at Des Moines University in Iowa. He then completed an internship at a large community hospital in San Bernardino, California. After a brief period of practicing dermatology in Lake Havasu City, Arizona, he became a resident at Aspen Dermatology Residency in July of 2016. Dr. Goodman is married with two young boys. He spends most of his free time with his family enjoying outdoor activities such as camping, hiking and biking. He also enjoys reading and competing with (and usually losing to) his wife in an occasional triathlon race. Dr. Ryan Brothers was born in Detroit, Michigan and raised in Metro Detroit. He attended Oakland University in Michigan where he graduated with a bachelor in biology. Before attending medical school, he worked in multiple level-1 trauma emergency rooms in Detroit conducting research on new technologies that would become the new standards of care for patients. Dr. Brothers completed medical school at Michigan State University and went on to complete his internship at Crittenton Hospital in Rochester, Michigan. 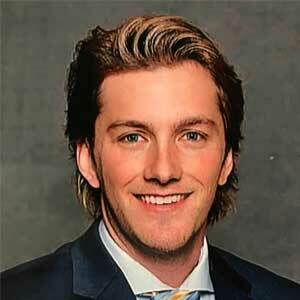 He joined the Aspen Dermatology Residency in 2018. 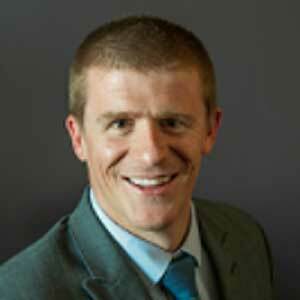 In his spare time, Dr. Brothers enjoys being outdoors playing sports, competing in races, skiing, biking and camping. He also enjoys being home with family and having long phone calls with his fiancé back in Michigan. was born in Richfield, Utah, and raised in Salina, Utah. After graduating from North Sevier High School, he attended BYU where he earned his bachelor’s degree in biology. Dr. Burr attended medical school at Western University of Health Sciences COMP-NW in Lebanon, Oregon. In 2016, he became a part of the Aspen Dermatology Residency, where he continues his studies and sees dermatology patients. Dr. Burr is married with two small children, (one boy and one girl). He enjoys spending time with his family, playing sports, and rooting for the BYU Cougars, Utah Jazz, San Francisco Giants, and Liverpool FC. At Springville Dermatology, our goal is to provide the highest level of dermatology care. We welcome your calls and insurance questions during business hours. Call us to schedule an appointment today!